Originally from Hawaii, I graduated from the University of Oregon with a B.S. in Business. Looking for some sun and a piece of paradise on the Mainland, I settled in Santa Clarita in 1991. 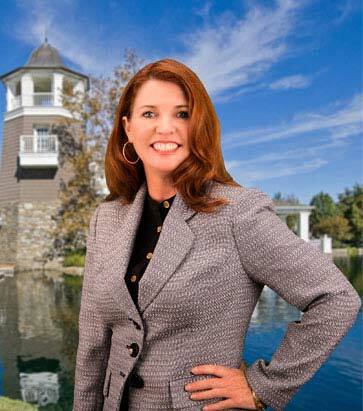 I have been selling homes full time in Santa Clarita Valley and other areas of Los Angeles and Ventura County since 1998. Early in my career, I joined a team as a buyers agent where I became an expert in all aspects of our local real estate market and the real estate business. My hard work and dedication to my clients contributed to making my home sales team the No. 1 ReMax team in California and No. 8 in the United States! I have a simple philosophy; I give my clients what they want and what they need. Great service, honesty, respect, and a lifetime of experience and knowledge in the real estate business. My experience, skills, and commitment to giving the best service are the main reasons people continue to entrust me with the biggest financial asset in their lives…their homes. Personally experiencing the great lifestyle, education system and opportunities Santa Clarita has to offer has made it easy for me to be passionate about selling homes here. I know every community, neighborhood, tract and floor plan in the area including new and upcoming communities. I take time every day to study the market and the daily changes in prices, new inventory and anything affecting the real estate market in my area. Each week I meet with top real estate agents in my community to network our new listings and buyers. My other passion is sailing. After years of sailing out of both Ventura Harbor and Channel Island Harbor, it was a natural extension of my business to start helping people in those communities as well. I love getting to work where my favorite place to play is!